The Doctors spoke to a woman named Felicia, who was so worried about her excessive gas that she didn’t even want to be identified during their discussion of her problem. So she sat on a stool behind a ball with just her silhouette showing on the other side. 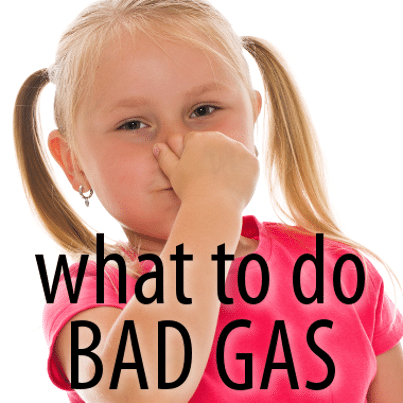 For five years, she’s hidden her excessive gas problem from her boyfriend. How does she do that? Well, it includes things like offering to be the big spoon every time she feels a toot coming on, or running to the bathroom before they get intimate. But this problem has gone on for way too long. Is there any way to stop the gas before it explodes? This seems like a common problem for both men and women. Yes, men are a little bit more proud of their farts than women are, but we still don’t want to be unleashing poison gas in the board room anymore than women do, and even a silent killer toot can really ruin a first date. The Doctors talked to a woman who wanted to reduce her excessive gas and they helped to find a solution for her. At the same time, I have to say, if you’re with someone for five years and can’t let gas out around them, you might want to look at how intimate you’re actually being with each other. Farts aren’t the key to a close relationship, but if you’re worried about what your partner will think of you post-toot, you’re probably also worried about what they think about you in general, too. That kind of self-conscious anxiety is not a good recipe for a communicative and close relationship. The Doctors expressed shock and even a bit of respect for Felicia for hiding her gas for so long. Dr. Jorge Rodriguez, an expert on GI issues, came by The Doctors to offer his expert insight onto Felicia’s problem. Dr. Jennifer Ashton congratulated Felicia on her courage for coming on the show and talking about the gas issue, because she’s not the only woman with this problem. Dr. Jorge Rodriguez said that men and women pass gas equally, but women have smellier farts because they often hold them in. Dr. Jorge Rodriguez said that new studies show that some families have certain bacterias that are inherent to the family. These bacteria contribute not only to gas, but also to obesity and Alzheimer’s. Felicia said she eats a lot of protein bars and protein shakes. She said she often works out and eats lots of vegetable, including broccoli. Dr. Jorge Rodriguez said that protein can cause smelly gas because of the amino acids. He also said that leafy vegetables and things with a lot of fiber gas excessive gas, including drinks such as orange juice. Dr. Jorge Rodriguez said she should cut down on eating leafy vegetables to avoid the gas. He said that often, it’s not what you eat at night that causes gas, but what you eat during the day. He said she should cut down on foods like broccoli, cauliflower, hummus, and egg. Dr. Travis Stork and Dr. Rachael Ross said that since all of those foods are good for you, that Felicia should instead “embrace the gas” and wear some Shreddies. Shreddies are carbon-lined underwear that let women fart all night long and no one will smell it. The only problem is that you have to keep sealed, because the underwear are designed to keep the smell in, rather than letting it out. Dr. Travis Stork added that gas is completely normal and that Felicia should let it out. Dr. Jorge Rodriguez added that gas is a part of being human and that she should just let it out in front of her boyfriend. See? I told you.